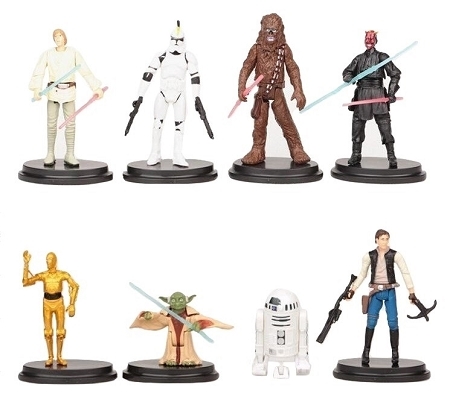 This listing is for a 8 piece figurine playset with characters from the Disney movie... Star Wars! 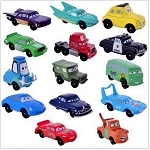 These are great for cake toppers to decorate a cake, to give as birthday party favors, or to use as toys to play with! Perfect for stocking stuffers or Easter Egg fillers! These are genuine toys. No retail box or retail packaging. All characters are individually wrapped in clear bags and sealed together in a clear OPP/CPP bag. Toys may have slight imperfections but doesn't affect overall appearance. We will ship all US orders in a box to ensure safe delivery (International packages are shipped in multiple layers of bubble wrap. No box due to customs)! SUPER CUTE! !